“I believe in the sustainable growth potential of the forest-based sector in modernizing the European economy. We also have to change the way we produce and consume things. This means that we must be more efficient in our use of resources,” said Jyrki Katainen, Vice-President of the European Commission, at the “Wood U Believe in Growth” event. The event was organized by the Finnish Forest Industries Federation (FFIF) on 6 September 2017, in Brussels, just prior to the Plenary vote of the European Parliament on the LULUCF report on 13 September 2017 (link). Vice-President Katainen also referred to the issue of carbon sinks policy, namely carbon accounting in the LULUCF sector, which has been the subject of lively discussions over recent months. Forests are major carbon sinks, and the Paris agreement identifies forest sinks as critical for reaching long-term climate objectives. A proposal on how to integrate greenhouse gas emissions and removals from land use, land use-change and forestry (LULUCF) into the 2030 climate and energy framework (link) was published by the Commission on 20 July 2016. During the discussion with the audience, Artur Runge Metzger, Director at DG Energy, and one of the panelists explained that, in its draft LULUCF regulation, the Commission did not intend to impose any limits on the use of forests in the future. In spite of this, the proposal raised concerns in the forestry sector, especially in forest-rich countries like Finland. This was confirmed by another panelist, MEP Miapetra Kumpula-Natri, who pointed out that in many Member States the representatives of the forestry sector clearly believe this proposal would bring major limitations to forest use in the coming decades. Global megatrends require the use of renewable resources instead of fossil raw materials, argued Jussi Pesonen, Chairman of FFIF. Aspects such as population growth, urbanization, climate change and resource scarcity can provide opportunities for the future growth of the forest sector by increasing the use of wood in construction or the development of biochemicals, for example. 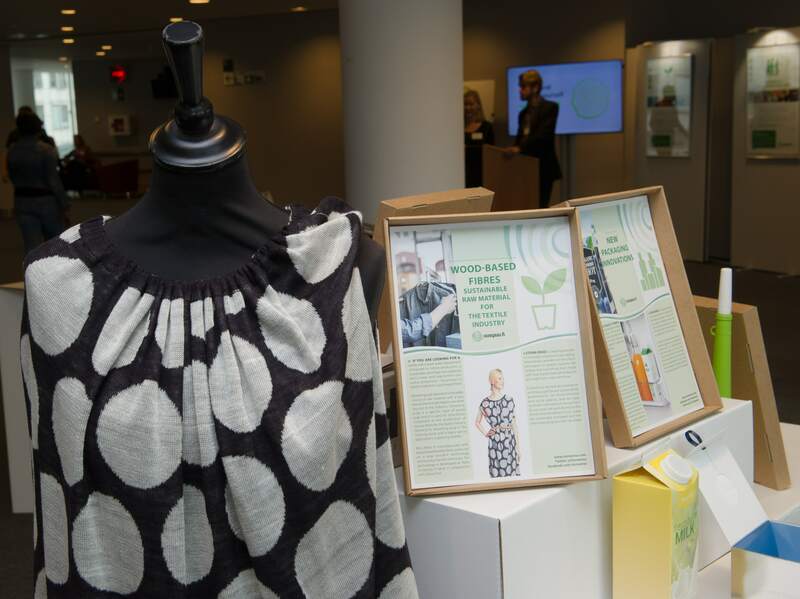 During this same week, the Finnish Uusipuu (New Wood) initiative launched an exhibition in the European Parliament, which presented diverse examples of innovation in forestry, how the sector supports the bioeconomy as well as climate change mitigation. 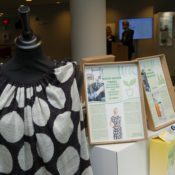 The exhibition presented over 50 wood-based applications, from hygiene and medical products to textiles, displayed by 20 different companies. The aim of this exhibition was to demonstrate the wide variety of products the forest-based sector can offer.